Getting stranded on the side of the road puts you and your vehicle at risk. Plus, it could ruin your travel plans and cause you a lot of unwanted stress. It’s impossible to eliminate breakdowns entirely, but when you’re driving a Mercedes-Benz you have a much greater level of protection. Every new Mercedes-Benz model comes with complimentary Mercedes-Benz Roadside Assistance. If and when you need help, it’s instantly on the way. This is just one of many perks offered to the elite group of people driving Mercedes-Benz models. Plus, it’s a higher-caliber of Roadside Assistance than you will find elsewhere. 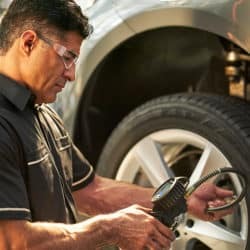 What is Included with Mercedes-Benz Roadside Assistance? Fuel delivery to your location when you run out of gas. Replacement of a flat tire by a trained technician. Jump start a vehicle if the battery is dead. Towing a vehicle to the local Mercedes-Benz dealership for service. Why is Mercedes-Benz Roadside Assistance Different? Accessibility – Warwick Roadside Assistance is available regardless of your location. And when you need to connect with a provider, simply dial a number or hit a button in a dedicated smartphone app. Cost – Most other automakers charge for Roadside Assistance or offer it free for a temporary time period. Mercedes-Benz Roadside Assistance is entirely free for the lifetime of your ownership. Quality – When you call for Roadside Assistance, a trained technician is dispatched to your location. Thanks to that training, these technicians are better able to identify and resolve issues unique to your vehicle while respecting the singular features of Mercedes-Benz models. Security – While drivers hope to avoid troubles, knowing that Mercedes Roadside service is available to you anywhere at any time provides peace of mind and makes it easier to get behind the wheel with confidence during every drive. 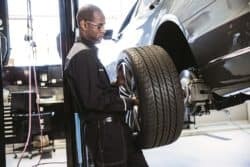 You can count on the technicians at our Warwick, RI dealership to take care of your Mercedes-Benz. We have a state-of-the-art service department, as well as rotating service specials. 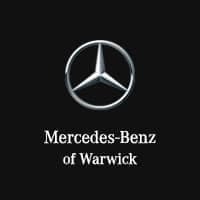 When your vehicle is in need of assistance, make your way from East Greenwich to Mercedes-Benz of Warwick, and be sure to contact us if you have any questions about Mercedes-Benz Roadside Assistance eligibility in the meantime. *For vehicles MY 09 and newer. Price advertised for Service A includes all factory-required components. Please refer to your maintenance booklet for the complete list of factory-required services and details on the specific intervals for your vehicle’s year and model. See Service Department for complete details. Special may not be combined with other offers. Void where prohibited. Limit of one (1) special applied per purchase. Other restrictions may apply, see dealer for details. *For vehicles MY 09 and newer. Price advertised for Service B includes all factory-required components. Please refer to your maintenance booklet for the complete list of factory-required services and details on the specific intervals for your vehicle’s year and model. See Service Department for complete details. Special may not be combined with other offers. Void where prohibited. Limit of one (1) special applied per purchase. Other restrictions may apply, see dealer for details. Receive 10% off a complete brake service per axle. Includes pads & rotors. *Discount not to exceed $150.00. See Service Department for complete details. Special may not be combined with other offers. Void where prohibited. Limit of one (1) special applied per purchase. Other restrictions may apply, see dealer for details. See Service Department for complete details. Special may not be combined with other offers. Void where prohibited. Limit of one (1) special applied per purchase. Other restrictions may apply, see dealer for details.